The TEA2 triode equalization amplifier is a vacuum-tube phono stage offering an extraordinary degree of musical accuracy at a moderate price. The audio circuit of the TEA2 is comprised of two cascaded single-ended triode amplifiers. The circuit is a zero-feedback design, to eliminate the temporal inaccuracies that negative feedback introduces. RIAA equalization is established by a passive network between the two gain stages. This network has been carefully designed and has been implemented with precision (1% tolerance) parts to precisely track the prescribed RIAA equalization curve assuring absolute tonal accuracy. Careful implementation of this fundamentally simple circuit results in extremely wide bandwidth, and low distortion, without resorting to negative feedback. A high-current MOSFET buffer stage follows the second gain stage to achieve a low output impedance (less than 200 Ohms). In the TEA2, discrete regulated power supplies, carefully designed for minimum impedance, even at the highest audio frequencies, isolate the amplifier stages from the ac line and from each other to guarantee that power supply irregularities do not degrade the audio performance. The TEA2 is available in high-gain (55 dB) and low gain (40 dB) versions to match a wide range of modern phono cartridges. The high gain version is recommended for use with cartridges with a rated output of 1.0 mV or below. The low gain version is best suited to higher output cartridges. Both versions offer switch selectable resistive loading allowing the user to fine-tune performance to the chosen phono cartridge. The performance of any audio component is only as good as its component parts. The audio circuits and the related regulated power supplies of the TEA2 use polypropylene and polystyrene capacitors and precision metal film and metal foil resistors exclusively. All parts in the TEA2’s RIAA compensation network are 1% tolerance, to assure precise tracking of the RIAA curve. Input and output connectors and even hook-up wiring have been carefully selected for audio performance. The TEA2SE takes the parts quality up a notch further. Sixteen of the most critical resistors in the audio circuit are upgraded to laser-trimmed metal foil resistors. A dozen capacitors are upgraded to CJD Teflon capacitors (chosen for their exceptionally low “memory” characteristic), including intra-stage coupling capacitors and critical “bypass” capacitors. Finally, the ac line cord is upgraded to an excellent medical grade cord. The TEA2MAX exhibits the extensive use of premium parts found in our flagship offerings. All resistors (34 in total) in the audio circuit and its regulated power supply are upgraded to the laser-trimmed metal foil types and in addition to the bypass capacitor upgrades found in the SE, the 4.0 micro Farad output coupling capacitors are upgraded to CJD Teflon as well. As in the SE, the ac line cord is also upgraded. Thoughtful engineering, specification of quality component parts, and painstaking care in production are clearly on display in each of the TEA2 models. Each step up from the basic TEA2 to the TEA2SE and on to the TEA2MAX offers further refinement in detail, imaging, and “micro” dynamics. 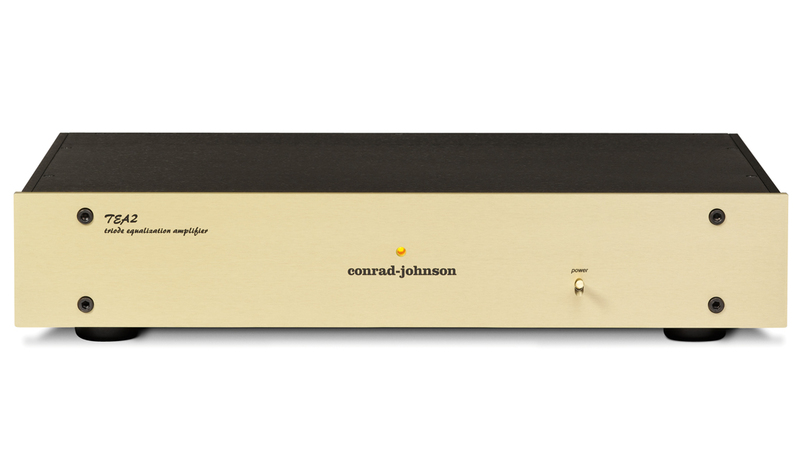 But you are sure to find all versions to be phono equalization preamplifiers of remarkable musicality. 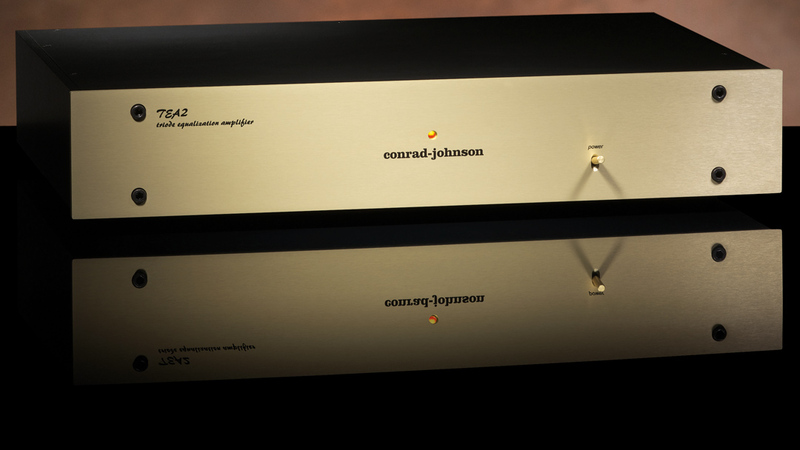 Every conrad-johnson TEA2 Phono Equalization Preamplifier is patiently and carefully hand assembled, then individually inspected and its performance verified by an experienced audio technician.